Ronke Aluko has performed on several platforms in Bayelsa, Kwara ,Ondo, Ekiti and Lagos state, and recently on the same stage with Lara George, Pastor Moji Alawiye, Pastor Yomi Ajayi, Pastor Tosin Alao, Segun Oluwayomi [Omo arugbo ojo], Tope Alabi, Jerry Sax at TPH. Performed at Agip recital hall with MUSON Diploma band, MUSON Orchestra, with 8 months pregnancy on the drums, rearranged and performed Eri Okan by King Sunny Ade on the xylophone, also once a member of Kingdom Minstrel for Christ [KMC] and Gold Heart Mission [GHM] at Ilorin, as well as a member of the RCCG National Praise Team. A percussionist per excellence, major in voice, music minister, xylophone and drums. 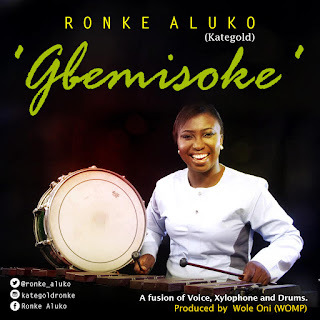 Ronke Aluko is a graduate of MUSON school of Music with a B.Sc in Business Administration from the University of Ilorin, PGD, MA Music Education in University of Lagos and a music instructor at Masha Music Academy Lekki Lagos.